Sign-up and receive Property Email Alerts of Residential New Developments in Kado District, Kado. It is about 300 meters apart from each other. Approval is in advance stage to develop the 8,000 square meters land lying in between the lake and Lakeview Homes Phase one, into an active park, resort centre for the enjoyment and benefit of all residents of Lakeview Homes. When completed, a household will be given four cards that allows the holder unlimited access to the park and resort centre for the maximum comfort and relaxation. We are proud in providing you with quality modern estate, planned and built to meet all criteria and standards that will give comfort and security to all the inhabitants. An open plan estate like Lakeview Homes offers a lot of advantages, especially in the African culture where by people shares communal life styles. Apart from sharing of infrastructure and services, inhabitants have the leverage of being neighbours' keeper; individual hoses are watched over by neighbours; sometimes labour is shared amongst inhabitants in time of needs, all theses, even more, are what Lakeview Homes represents. Bringing nature home! 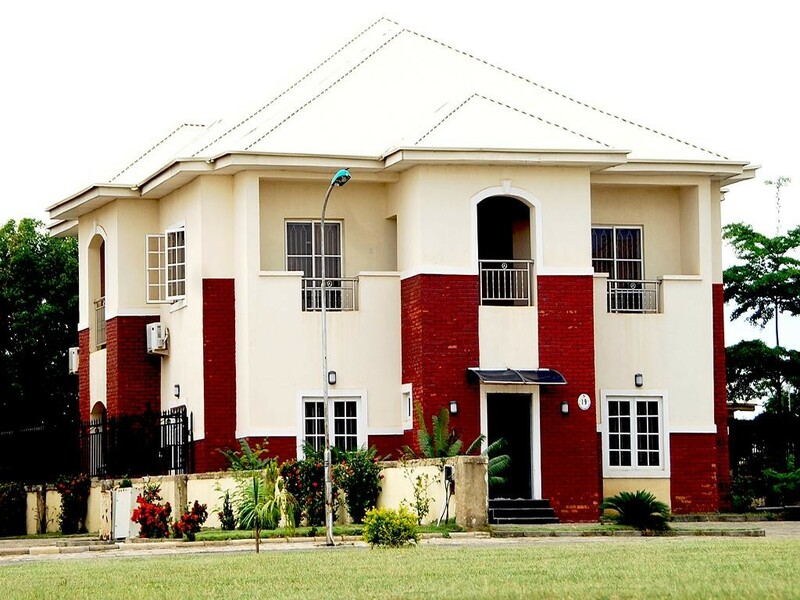 A choice of apartments ranges from 5 bedroom duplex with 2 rooms boys quarter and a lock up garages, 4 bedrooms semi-detached house with a room boys quarters and lock-up garages. 4 bedroom terrace house with a room boys quarters and 3 bedroom flat with a room boys quarters. The estate is well positioned, equipped and provided with quality perimeter fence with two entrances. Sandcrete blocks carefully plastered and finished in high quality paint and facing brick aesthetic appeal. Finished in combination of granite, glazed ceramics and vitrified tiles. Quality long span roofing sheets. All kitchens are finished with exquisite cabinets.